Force Motors will be manufacturing a Rolls-Royce engine in India. 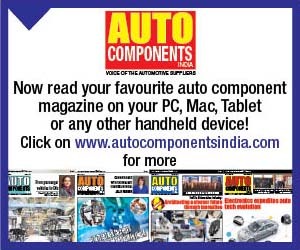 Manufacturing engines for Mercedes-Benz and BMW automobiles sold in India, Force Motors has entered into a joint venture with Rolls-Royce Power Systems AG. 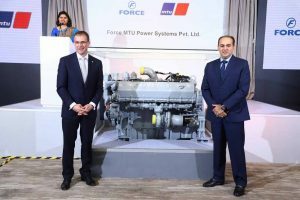 The joint venture company, Force MTU Power Systems Pvt. 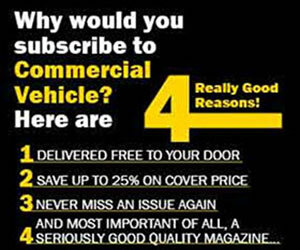 Ltd., will have Force Motors holding a 51 per cent stake and Rolls-Royce Powers Systems the remaining stake. Set up with an investment of Rs.300 crores (in proportion to the respective stakes of the two partners), the joint venture will manufacture the Series 1600 engine family of Rolls-Royce with a power output from 545 hp to 10150 hp at a dedicated facility at Chakan, Pune. 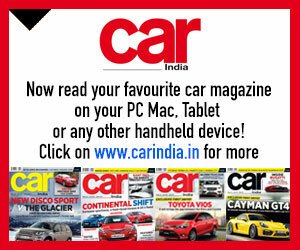 Expected to go on stream in the third quarter of 2019 according to Prasan Firodia, Managing Director, Force Motors, the dedicated manufacturing facility for the Series 1600 engine family, equipped with nearly all core functions need to carry out serial production, will conform to the manufacturing standards set by Rolls-Royce. 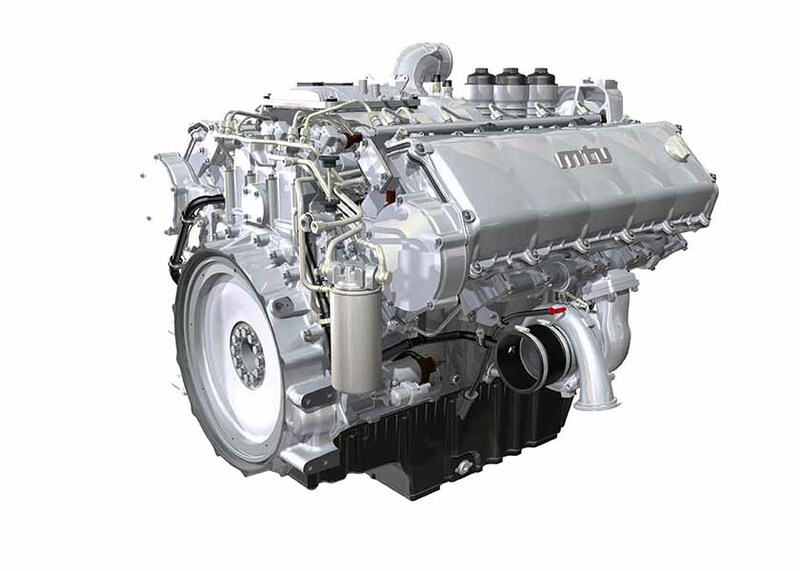 Claimed to be a world leader in engines and propulsion systems, and distributed power generation plants, Rolls-Royce Power Systems AG develops and produces high-speed engines and propulsion systems under the MTU brand for ships and heavy land applications, and rail and defense vehicles. 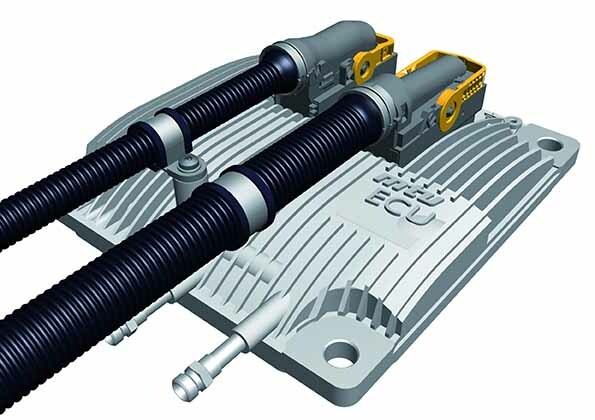 The drive systems manufactured by MTU find use in the oil and gas industry, and in power generation. Tracing its roots to engines built by Wilhelm Maybach and his son Karl Maybach, known as builders of some of the finest motors ever, MTU has a long tradition in the development and manufacture of engines. Headquartered at Friedrichshafen, Germany, MTU employs over 10,000 people worldwide. Of the 10,000 people MTU employs the world over, some 60 are instrumental in the manufacture of Series 1600 engine family in Germany currently according to Andreas Schell, President and CEO of Rolls-Royce Power Systems AG. When the production shifts to Pune – India will be a global manufacturing hub for Series 1600 engine family, the 60 employees will be absorbed in other business areas of the company, expressed Schell. 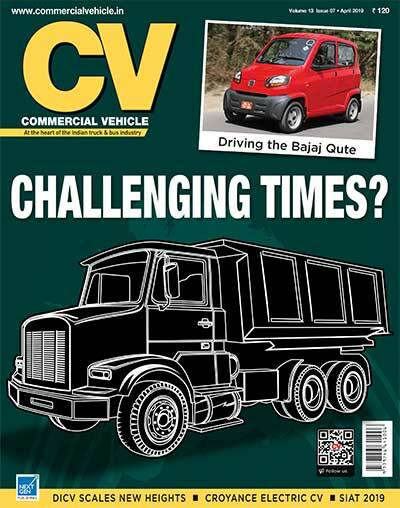 Terming the joint venture with Force Motors as a significant development, Schell mentioned, “In Force Motors, we have found a reliable partner whose excellent production quality is proven by decades of experience in building engines for premium automotive brands.” Describing the move as the one which will offer a distinct cost advantage, Schell averred that the Series 1600 engine family meets the norms in the markets that it is supplied to. Describing the Series 1600 engine family as state-of-the-art, Prasan Firodia, Managing Director, Force Motors, opined that they are looking at a revenue of Rs.1000 crore over the few years after production begins. He stressed on the application suitability of the Series 1600 engines for power generation and rail underfloor applications in particular. Stating that the engines the Indian joint venture will produce will be application ready for genset application, Firodia explained, “The engines apart from those that are application-ready for genset application will be exported to Germany. There, Rolls-Royce will adapt them for diverse application. 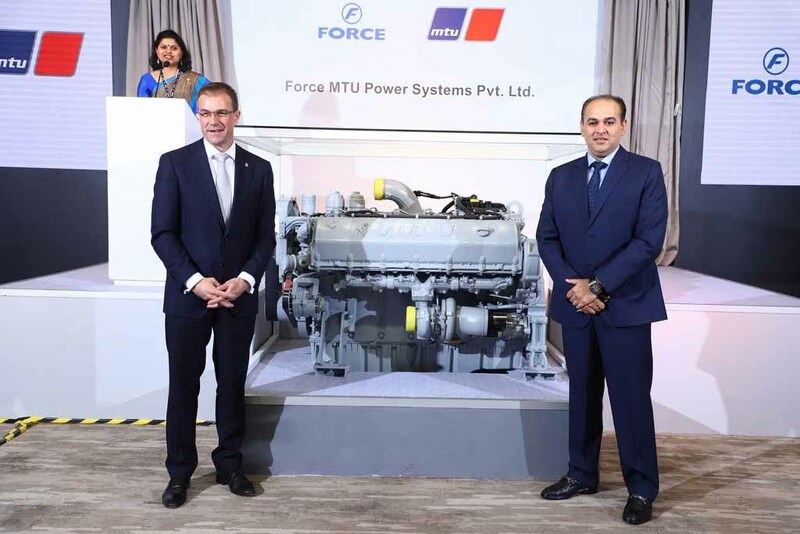 If the genset application engines of the Series 1600 engine family will cater to the Indian and global needs, the one that will be built and supplied to customers in India, Nepal and Sri Lanka will carry the ‘Force – MTU’ brand. In other markets of the world, the genset application Series 1600 engines will be marketed under the ‘MTU Onsite Energy’ brand. To continue to have the MTU brand, the Indian joint venture, for the supply of genset application engines to domestic consumers, and those in Nepal and Sri Lanka will develop an efficient network. The Indian joint venture will also leverage the expertise of Force Motors to drive localisation. 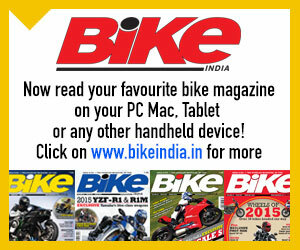 The aim, said Schell, is to achieve high levels of localisation without compromising on quality. Stating that over 20,000 Series 1600 engines have been sold, Schell informed that there has been a triple-digit demand for these engines since the production started in 2009. 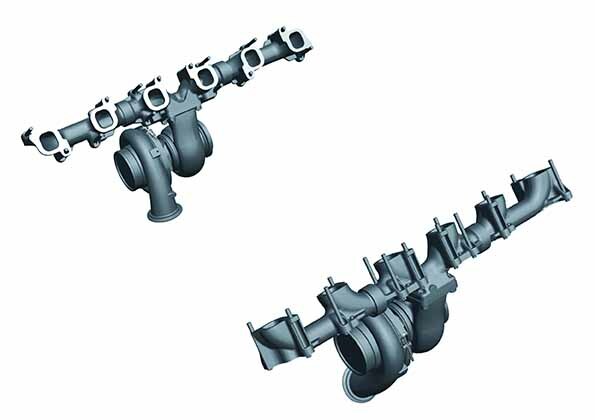 A common-rail turbo-diesel engine with an individual cylinder piston capacity of 1.75-litre, the Series 1600 engine family comprises of one six-cylinder in-line engine model, and V-engine models with eight, ten and twelve-cylinder configuration that cover a displacement range of 10.5 to 21-litres. 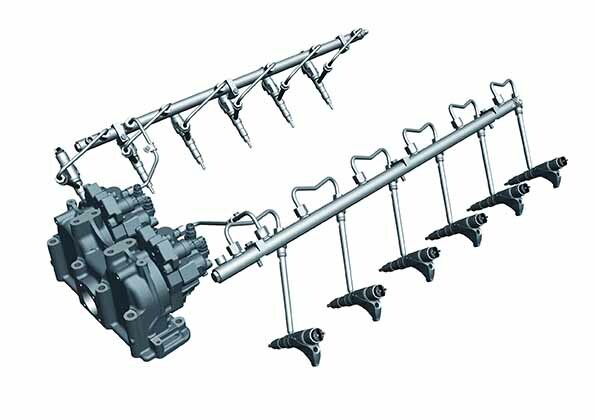 The modular design of the Series 1600 engine family marks the integration of special sub-assemblies and comes with impressive load application capabilities. Tapping developments in three core areas of turbocharging, injection and electronics, the Series 1600 engine family is efficient and capable of complying with stringent emission regulations like 97/68/EC for Europe EPA 40 CFR 89 or 40 CFR 1039 in the US, and EPA Tier 2 (> 560 kW) or Tier 3 (< 560 kW).